The new German „WebMagazin“ is now available (formerly known as CREATE OR DIE)! 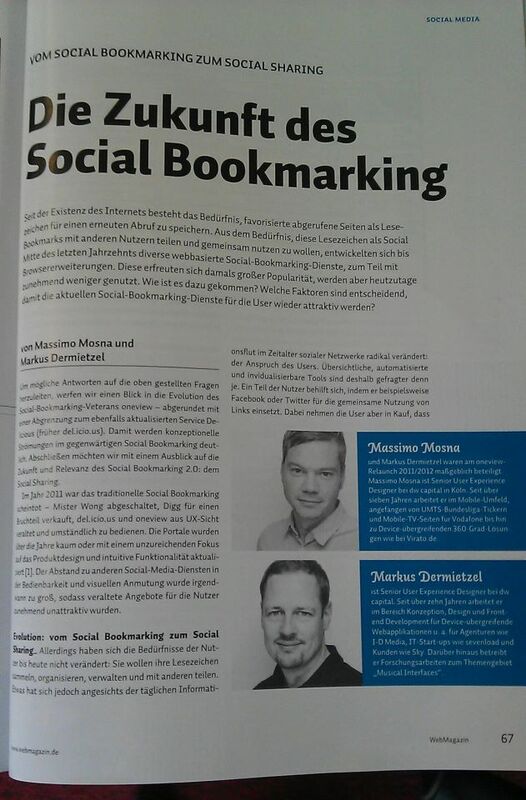 We are proud to be a part of it with our view of the future of social bookmarking and social sharing. Dive into oneview’s history on six pages (p. 67-72).